| SHARAN'S SAMAYALARAI |: Happy 64th Republic Day - 2013 !! 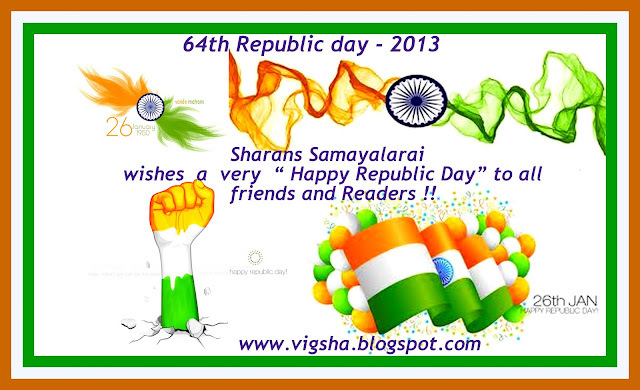 Happy 64th Republic Day - 2013 !! 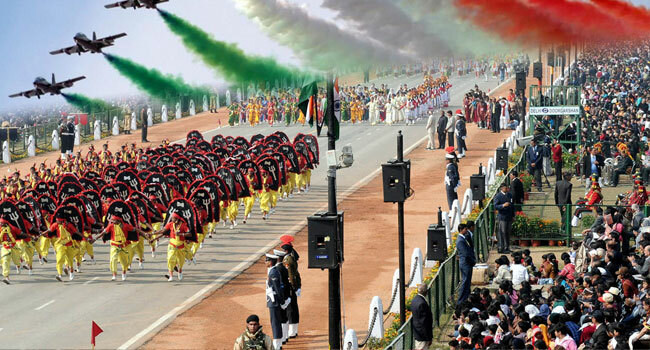 Happy Republic Day wishes to all my friends and readers :) The Republic Day evokes the feelings of patriotism in the heart of every Indian, reminiscing India's glorious history, rich culture and precious heritage. 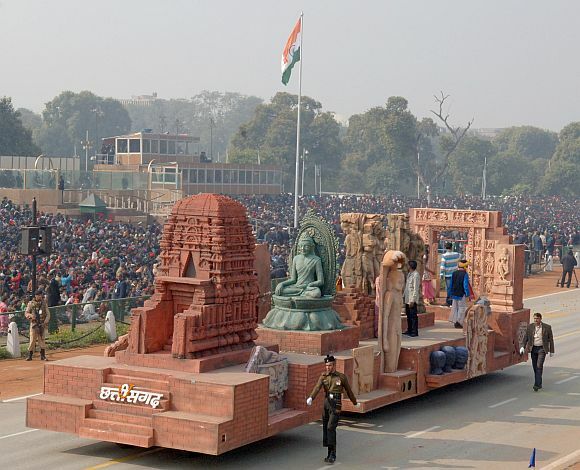 The Constitution of India was enforced on 26th January, 1950 marking a historical moment in the Indian history. 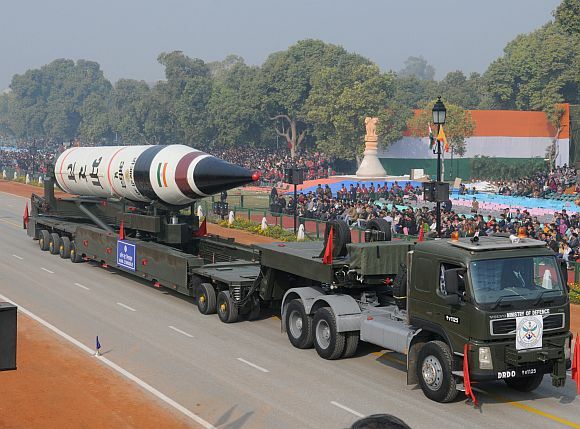 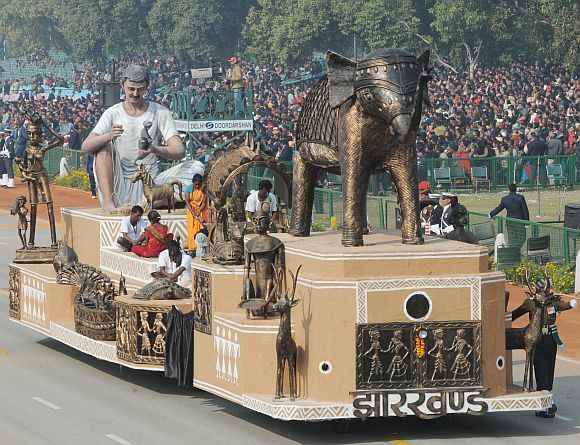 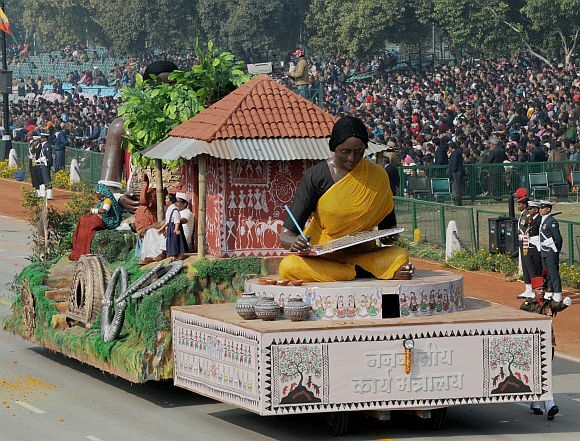 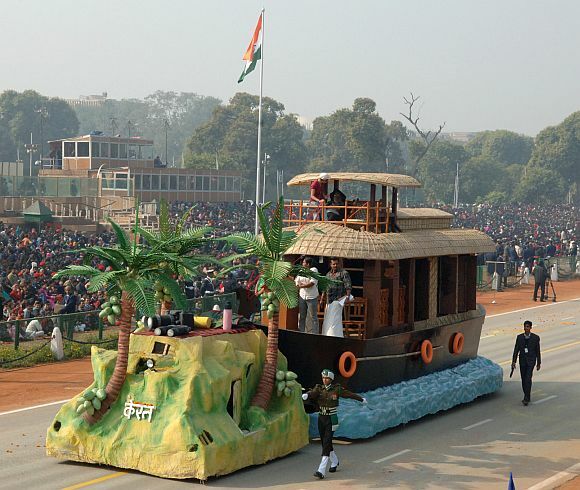 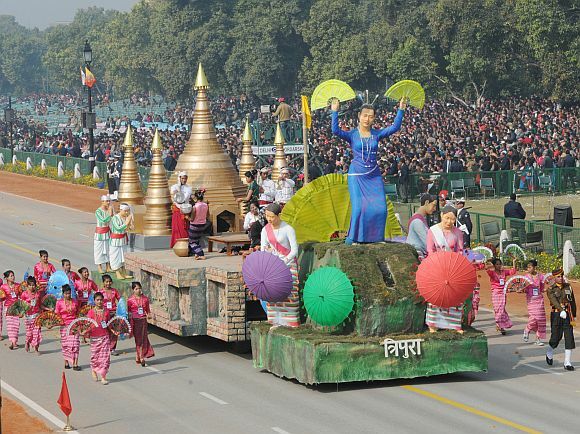 Republic Day is celebrated in India with great enthusiasm. 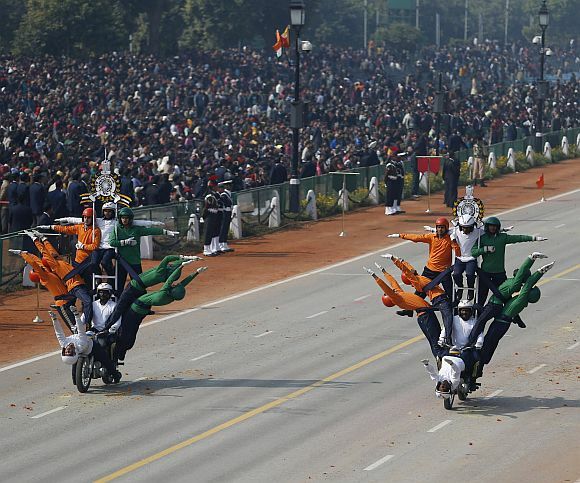 To mark this grand day, the National capital celebrates it in a majestic way. 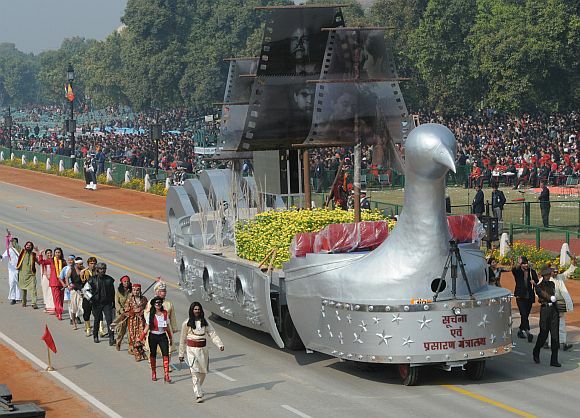 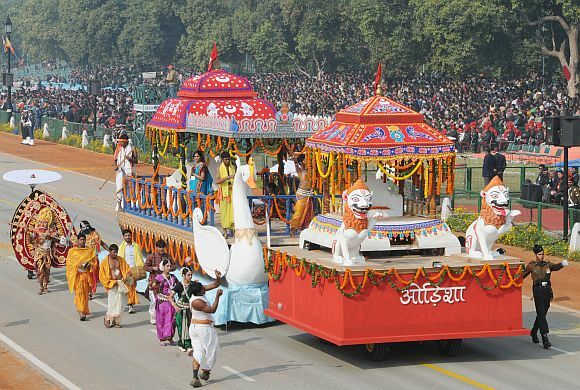 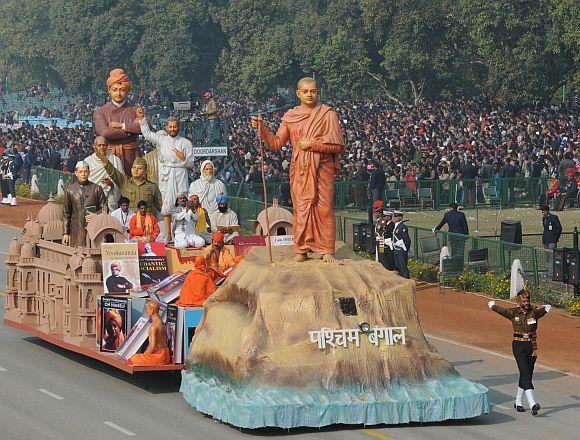 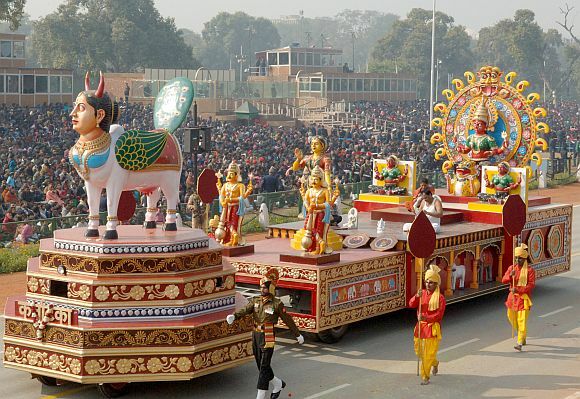 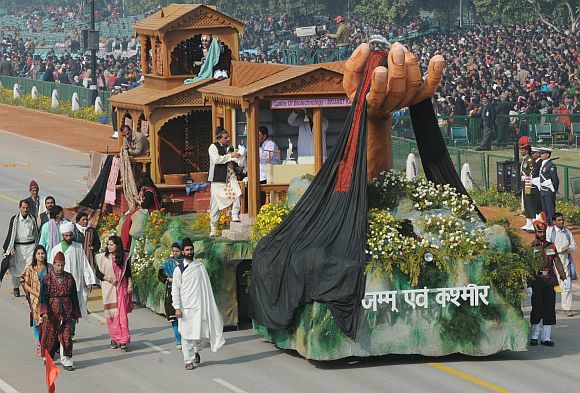 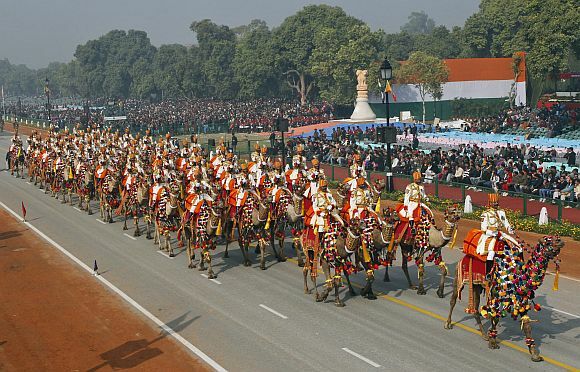 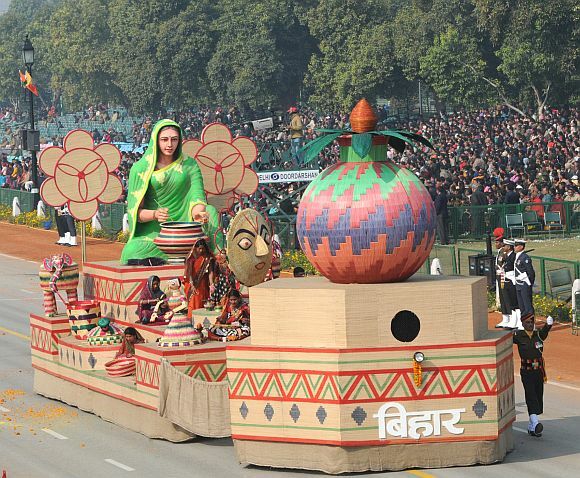 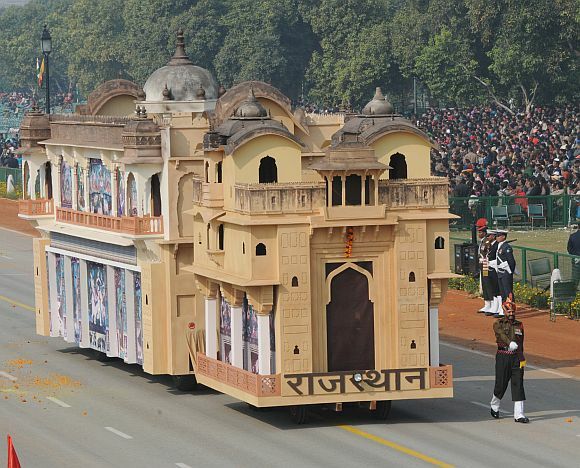 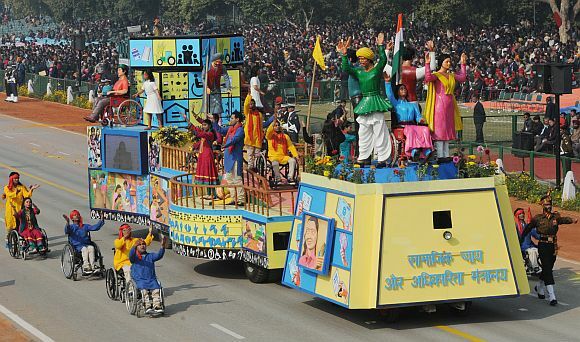 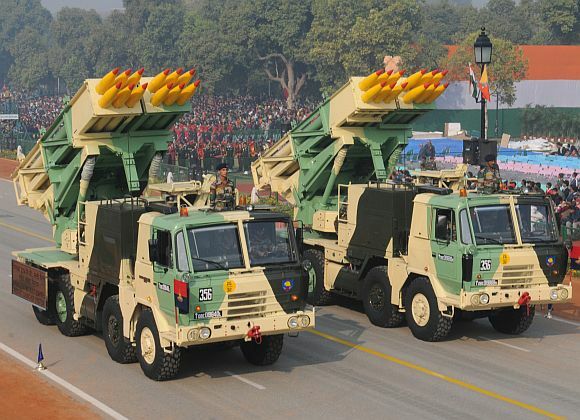 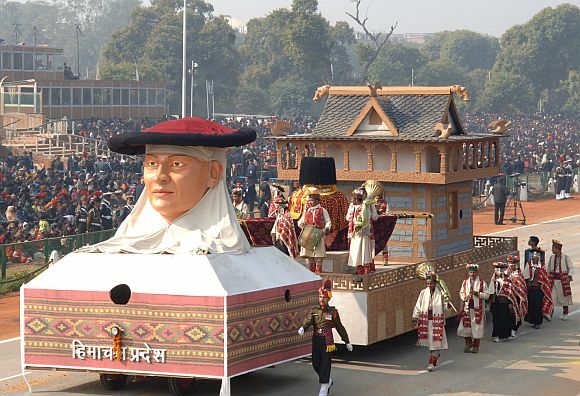 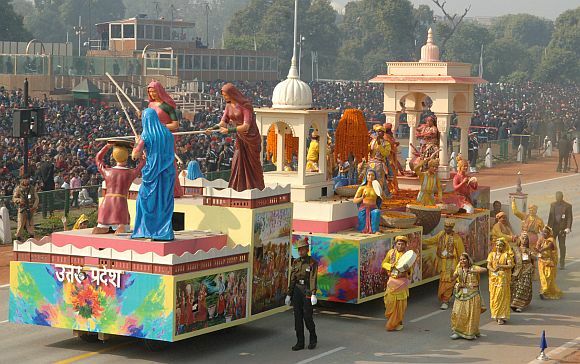 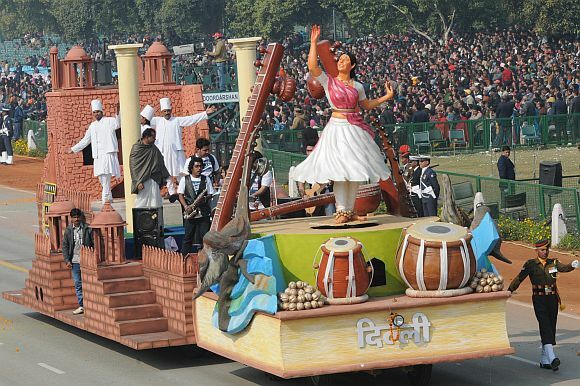 Each year a grand parade is held which starts from Raisina Hill near Rashtrapati Bhawan, passes through Rajghat and finally ends at India Gate. 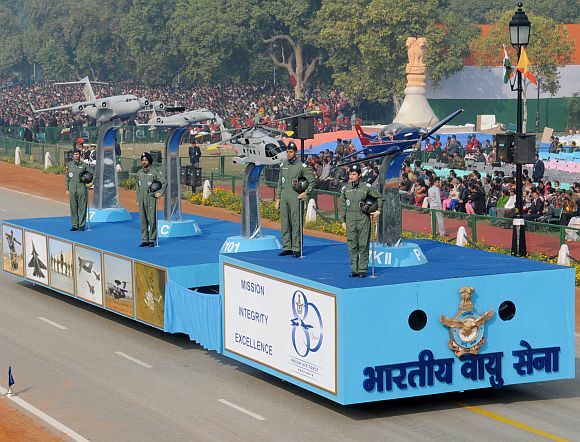 It displays the rich and colorful cultures of different states of India bringing the whole country together.The parade concludes with a fly past by the Indian Air Force on the fighter planes leaving trails of smoke displaying the tricolor of the National Flag. 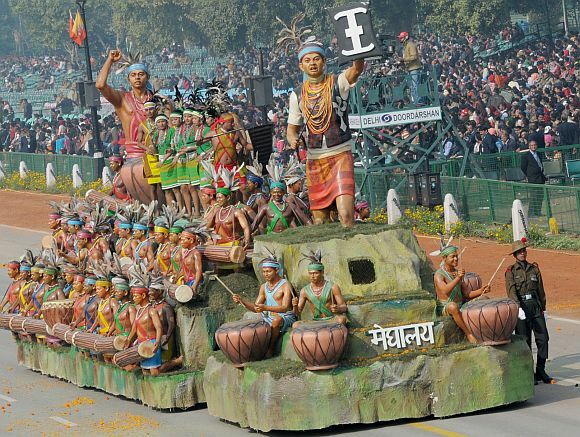 गणतंत्र दिवस की सभी को हार्दिक शुभकामनाएं!